Brief History: Craftsbury, VT was named after Ebenezer Crafts in 1791. It originally was part of Chittenden County, but was then made part of Caledonia County and finally Orleans County as it is today. The Craftsbury Comon was the first place of business and the South Village was built later because it had water power. General Area Info: It is situated about 25 miles south of Canada line and about 30 miles north of Montpelier, and is about equidistant between Connecticut River on the east and Lake Champlain on the west. It is quite a good farming town though somewhat broken by hills, valleys, streams and ponds. 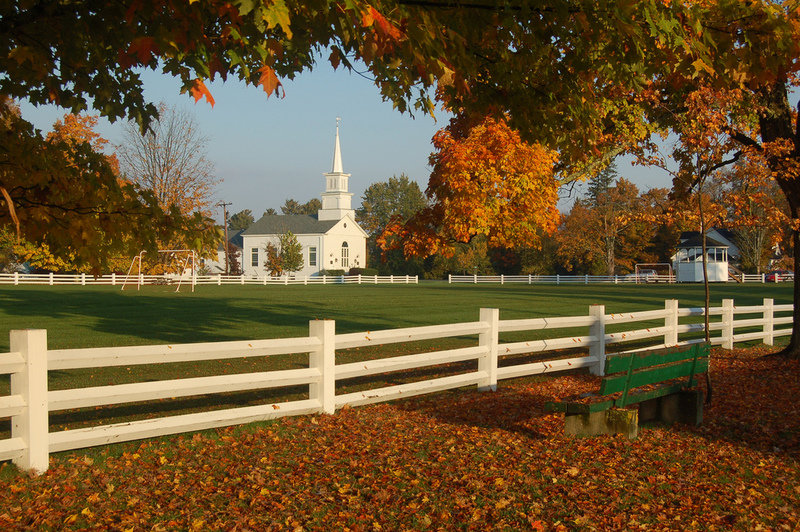 Craftsbury is home to Sterling College. The Craftsbury Common is quite pretty and there are a number of historic homes all painted in white. Attractions: Black River, Trout Brook and Nelson Brook. Other attractions are the Art Gallery, Bricabode B&B Art Gallery, The Music Box, public library & 3 other book stores, many food & dining selections and greenhouses & nurseries.Vermont Bee Balm Co. is also located in Craftsbury. Recreational Activities: Craftsbury Outdoor Center, snowmobiling, sculling, running, Windridge Tennis Camps, Greenhope Farm Horse Camp. Fun Facts: There are five natural ponds in this town: Elligo, Great Hosmer, Little Hosmer and two smaller ponds.